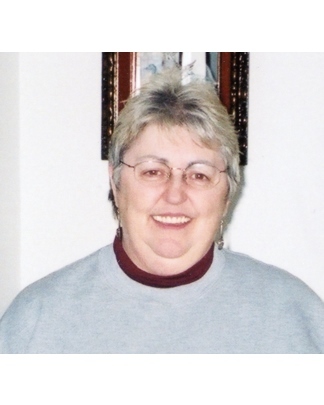 Sharon Marie Kjorvestad, age 73, passed away on March 22, 2019 of complications from Diabetes. Sharon was born in Rolette, ND on June 12, 1945 to Lyle Kjorvestad and Rose (LaFrance) Kjorvestad. At a young age the family moved to Montana. Her early education was in Havre MT where she graduated from Havre Central High School in 1963. Looking for new adventures Sharon and a very close friend, also named Sharon, packed up her friends 1954’ Plymouth and moved to the Seattle area, where eventually they welcomed several young adults from Havre and the Washington area moving into a large house in North Seattle on Phinney Ave N.
Sharon attended the University of Washington where she graduated with a Bachelor of Arts Degree in Business. Upon graduating, she was hired as the Northwestern Regional Field Representative for CARE an International Charity Organization. After several years with CARE, she moved back to Havre MT and opened her own business “Sharon’s Ideas” for Bed & Bath, where she was elected the first chairperson of the Atrium Merchants Association. Upon closing the store, she began her nursing education at Northern Montana College and received her pin and degree in nursing on June 8th, 1985. She began her career at the Rocky Boy Clinic on the reservation where she worked for several years. It was while at the Clinic she met and worked with a Traveling Doctor and his wife, realizing she could combine her love of travel with the nursing profession she started a new adventure, working as a traveling nurse. Most of her career was traveling and she managed to work in some of the biggest and best hospitals and trauma centers in the nation. She worked in New Mexico, Maryland, California, Texas and Florida. After many years on the road, she returned to Montana where she completed her nursing days at St Lukes Community Hospital in Ronan, MT. When not working, she enjoyed crafting and knitting with skills she inherited from her Mother and often used these items to decorate her house for each of the holidays. Sharon was preceded in death by her parents, father - Lyle Kjorvestad, mother - Rose Christensen and step-father - James Christensen. She is now at peace and visiting with her Mother. She is survived by her brother and his wife Larry and Teresa Kjorvestad, Her nephew and his wife, Tony & Lauren Olson, niece Deanna Olson and great nieces Kaitlyn Boucher and Morgan Olson and great nephews Ethan and Riley Boucher. Per Sharon’s request there will be no services but Larry would ask that anyone reading this and is perhaps a friend or associate, please remember her for a few minutes before continuing on your journeys through life. She was a wonderful Nurse and will be greatly missed by all her friends and people she touched in her travels and by the healthcare profession with her helping hands.